Crowd favourites Leconte and Bahrami confirmed to return to Adelaide. 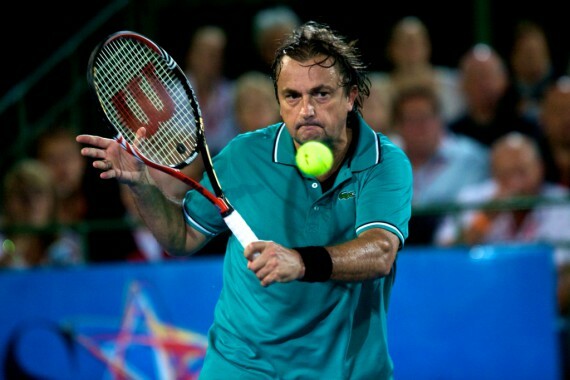 Two of the most popular players over the past years of the World Tennis Challenge, Henri Leconte and Mansour Bahrami will return to Adelaide for the 2012 event to be held 10-12 January at Memorial Drive. Frenchman Henri Leconte who has also been known to indulge in his love of our wine during his visits is equally fond of Adelaide “I am so happy to be back again, I love this place the people and also so nice to be in Adelaide at that time for me”. Former ATP player Mansour, who’s famous for his incredible trick shots, says he’s looking forward to creating mayhem with his old mate. Tickets are on sale now through Ticketek www.ticketek.com.au from just $39.50 for adults and $12 for children.